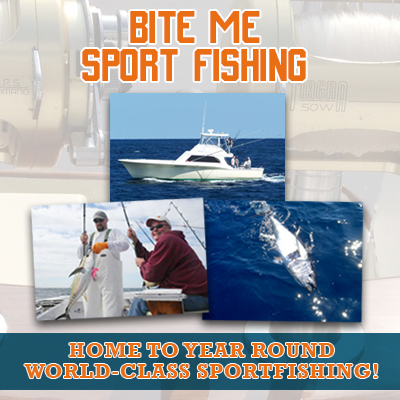 Bite Me Sportfishing ChartersMeatslam and a Sailfish! I always look forward to seeing this crowd on board the bite me. It was a little sporty at times today but we hung in there and scrapped it out. Meatslam with a Sailfish Kicker! Great ole big sailfish that chief caught, and it about killed him! Wahoos, Blackfin tunas and a dolphin!